Men's Bodybuilding Show on Download. Preview clip. Women's Figure & Men's Physique Show on Download. Preview clip. 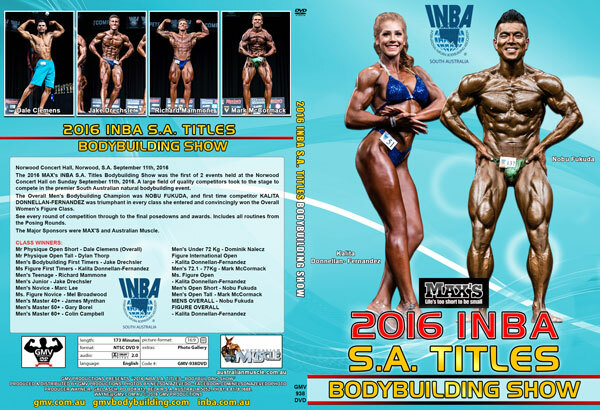 The 2016 MAX's INBA South Australian Titles Bikini and Fitness Show was the second event held at the Norwood Concert Hall on Sunday September 11th, 2016.